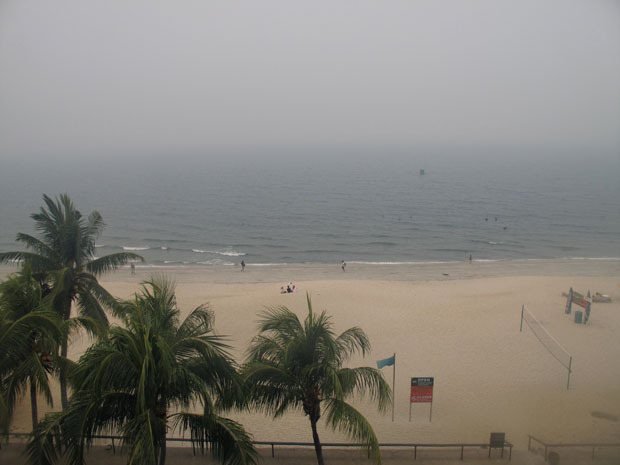 Last week, Malaysia was plagued by horrible haze. Perhaps, to look at the positive side, we learned to appreciate what we took for granted i.e fresh air. The highlight of this week was celebrating a family’s 30th wedding anniversary by the beach and sharing JewelPie’s ideas on national TV. 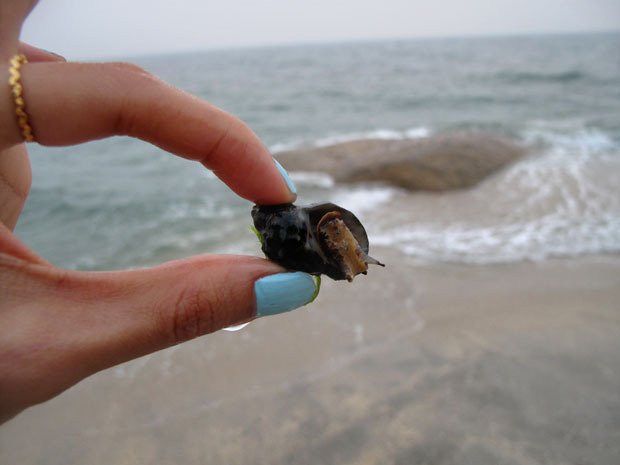 Sea snails and clams lived on a slab of rock by the beach of Teluk Chempedak…until we came. 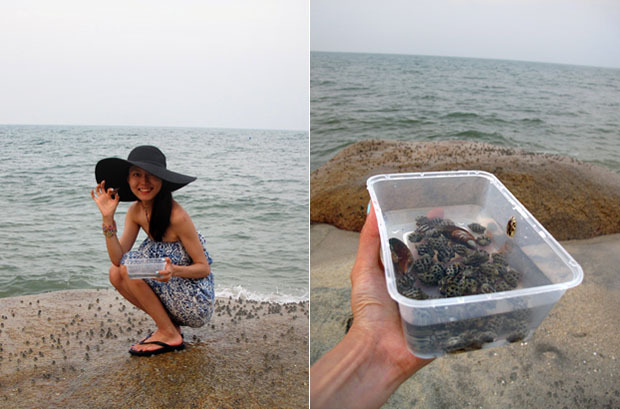 A friendly beach boy told us that they are best cooked with garlic and chilli, Malay-style. 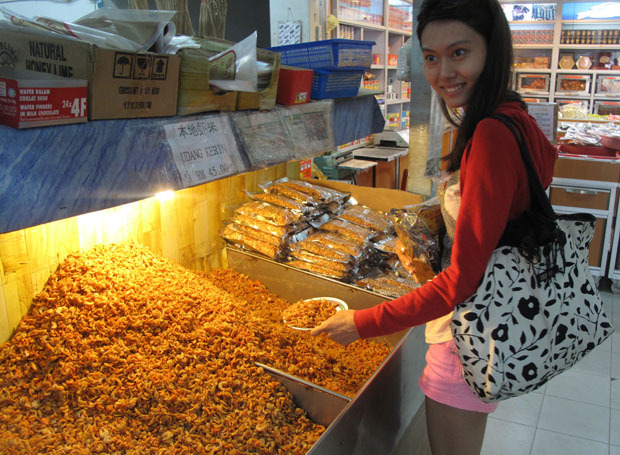 Happily getting some udang kering (dried shrimp) at a dry seafood shop in Kuantan for some homemade belacan chill. 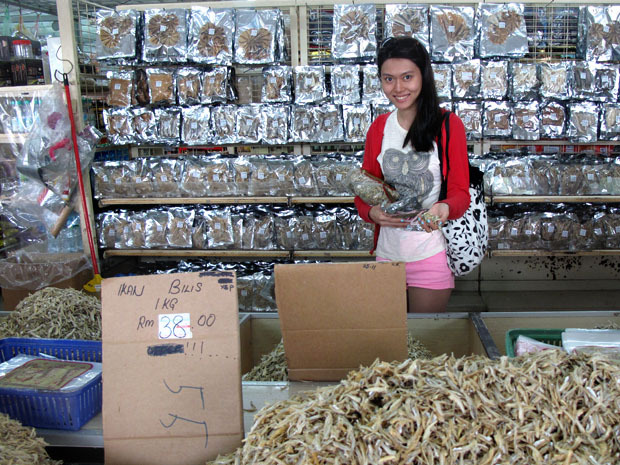 Dried seafood like ikan bilis make the best souvenier from a beach town like Kuantan. 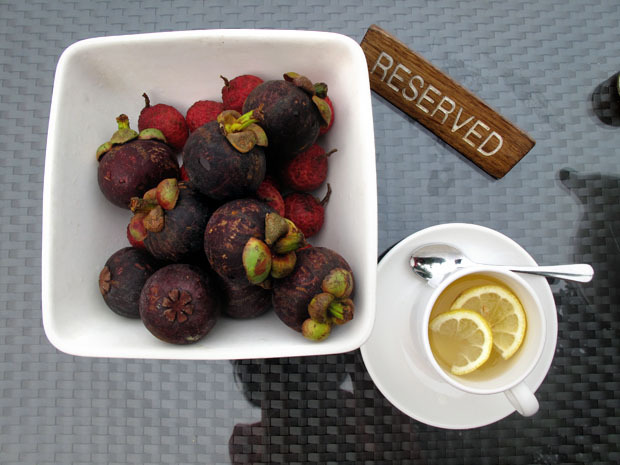 Mangosteen, lychees and a cup of hot chamomile tea with lemon slices on a reserved table by the beach. 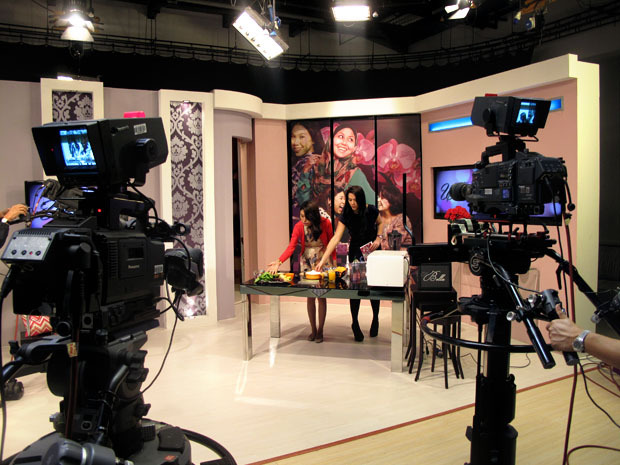 We had great fun making quick food and organising things with Vanessa Chong of the Amazing Race Asia fame.